Horizontal safety strips add strength and gripping power. This stick is 30% stronger than our old elementary stick. Upscale, contemporary design adds durability and safety to this innovative hockey set. 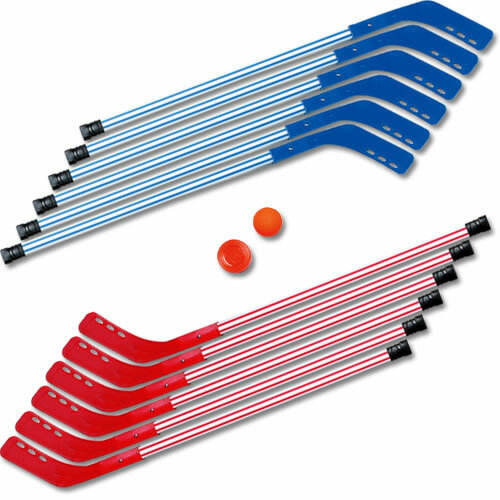 Set contains: 6 Red sticks, 6 Blue sticks, one ball, one puck, and one instructional manual.